2019 Level 7-10 Ontario Champions! 2018 Level 3-5 Ontario Championships – Congratulations! Here is your 2018 WAG Tour Team Ontario! WAG Athletes Who Qualified to Level 3-5 Ontario Championships Announced – Congratulations! WAG Team Ontario Selected for 2017 Eastern and Canadian Championships! Team Ontario Wins Big in Las Vegas! 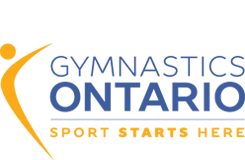 Ontario Gymnasts Headed to 2016 Olympic Selection Camp! Ontario Gymnasts Compete at First Ever Level 3-5 Championships! LIVE STREAM WAG LEVEL 3-5 2016 ONTARIO CHAMPIONSHIPS HERE! WAG Team Ontario Selected for 2016 Eastern and Canadian Championships! WAG Athletes Compete in the 2015-2016 Ontario Championships! LIVE STREAM WOMEN’S & MEN’S ARTISTIC ONTARIO CHAMPIONSHIPS HERE! Team Ontario Heats Up in Arizona! WAG Team Canada Earns a Spot at Rio 2016! Tune in to CBC to Watch Team Canada Compete at WAG World Championships! 2015 WAG Canadian Championships – Go Ontario! WAG Easterns and Canadians Team Ontario Selected – Congratulations! Congratulations WAG and MAG Canada Winter Games Teams! 2015 Canada Winter Games – Good Luck Team Ontario!